In preparation for the merger, the position of Regional Director of Corrections was established. The new director pushed for the regionalization effort, arguing that it would maximize earnings with a per-capita revenue from each person housed in the county jail. Less than a year after the plan was implemented, however, there were obvious cracks in the system. In May 2018, nursing staff shortages were reported to the County Council. The director fought to maintain the facade of a well-governed institution, but court documents reveal that he blocked the hiring of additional nurses and used discriminatory language when speaking about colleagues. There is a constant stream of rhetoric that suggests that governmental agencies should be run more like businesses. This notion assumes that privately-owned companies are lean, efficient and effective while public agencies are depicted as bloated and under-worked. It is assumed that if public agencies would operate as private ones do, high-quality service delivery would easily correspond with a desirable price point. But, governing requires trade-offs. While many applaud efforts to ensure that tax dollars are best utilized, what might be sacrificed to get “better” results? The current state of an Ohio county jail system provides a clear answer: the health, safety and welfare of the public. Sadly, this approach to efficiency-focused decision making is often viewed as the rational, less political, approach to policy making. The emphasis on technical expertise and maximizing efficiencies analytically narrows decision making processes, creating conditions ripe for causing harm. 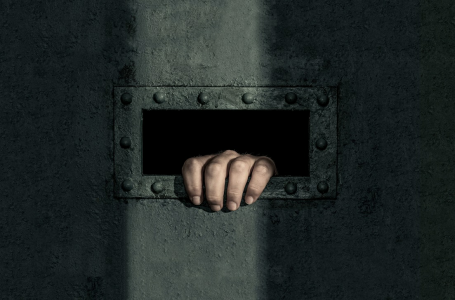 Not only do public policies that emphasize instrumental goals—such as cost cutting and maximizing efficiencies—tend to drive out deliberative decision-making and ethical considerations, this technical-rational approach also eschews meaningful considerations for human well-being, masking the evils carried out by administrators “just doing their job.” In the case of jails and prisons, this is far too often coupled with the dehumanization of the incarcerated. Jail management cannot be effective without accountability, and accountability starts with pro-social modeling among the staff employed within correctional facilities. Acts of staff misconduct not only undermine the overall legitimacy of correctional supervision, but risk increasing recidivism rates among those they supervise. In short, effective correctional facilities must be people-focused, because when individual needs are ignored, risks for crime, as well as human rights violations, increase. The Cuyahoga County Correction Center is just one example of the consequences of placing technical-rational decision-making before deliberation; the bottom-line before people; or efficiency before equity. When Michigan sought to privatize its kitchen and food services, the state faced a class action lawsuit brought by those incarcerated individuals alleging the poor quality food was making them sick, as well as numerous reports of maggot infested meals. In 2018, the governor, who had turned the food services over to Aramark to save money, admitted the partnership/contract was a failure. More recently, for over five days in the early months of 2019, inmates at the Metropolitan Detention Center in Brooklyn, NY were without power and heat. Family members of the individuals in state custody, elected officials and local activists were outraged by the conditions and took to the streets. Once again, the crack in the facade revealed a horrifying reality. Court proceedings highlight substandard conditions and neglect similar to those in the Cuyahoga County jail. What does it say about the values of our public service system when those tasked with the responsibility to provide a safe, healthy and restorative environment are more focused on the monetary gains of the jail system than the basic living conditions within the jail? Good governance requires more than a neo-liberal focus on cost-savings, service privatization and regional mergers. It is unlikely that Cuyahoga County and Brooklyn’s MDC are outliers. Incarcerated persons in jail systems across the country are sentenced to indecent living conditions. The lack of oversight and attention to this issue despite the attention to fiscal conservancy should make us stop and reconsider how we think of and pursue “good” governance. Hannah Lebovits is a PhD student at Cleveland State University, where she studies the relationship between governance, spatial structures and social equity. Ashley E. Nickels, Ph.D., is assistant professor of political science at Kent State University, focusing on issues of urban politics, governance, and community through a social equity lens. Dr. Meghan A. Novisky is a criminologist at Cleveland State University, where she researches the links between incarceration and health.